Pixelache Festival 2015 | Ernie's Pop-Up Spa is open tonight! 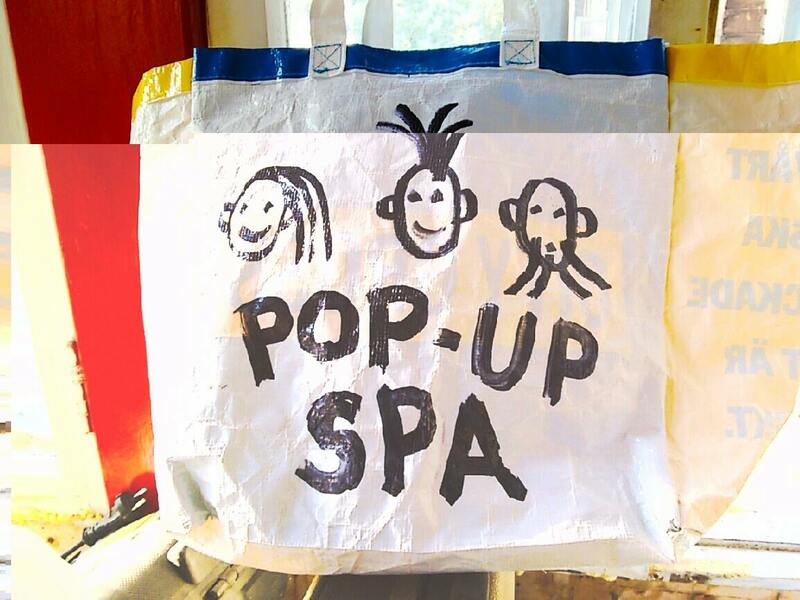 Tonight at the Pixelache festival opening event (21:00 until midnight at Ihana Baari/Mad House), Ernie's Pop-Up Spa will make it's first appearance in the festival. For the low, low price of only 3€ (though tips are recommended), you can get a custom art-school haircut as well as a nice, relaxing shoulder massage. We expect an enormous demand for this service, so we encourage aspiring cut-ees to be there early to get place. If you aren't so lucky, Ernie will be appearing at other festival locations between now and Sunday. Ernie's Pop-Up Spa: more than the law allows! <<< Previous post: Pixelache Festival 2015 starts today!